Did you grow up on frozen chicken cordon blue chicken breasts? I haven’t bought them in ages, but I remember how much I loved the flavor combination. I’ve made homemade oven chicken cordon bleu breasts, but they are very time-consuming. 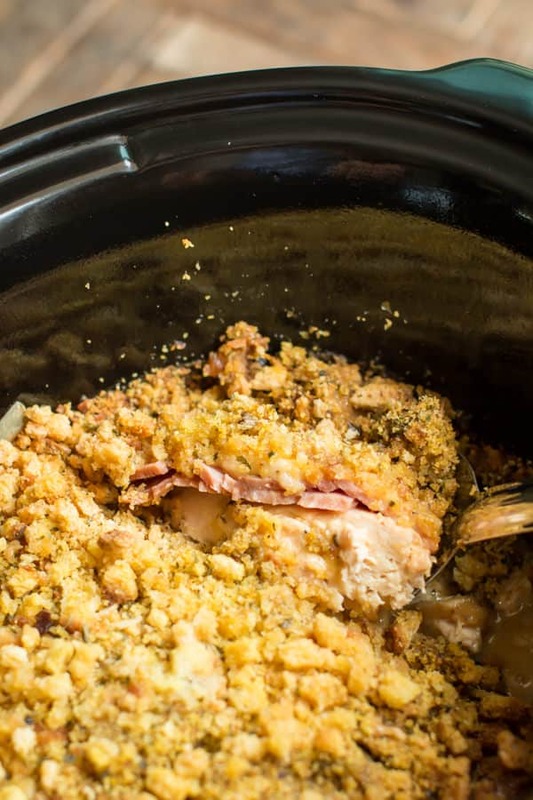 This Slow Cooker Chicken Cordon Blue Casserole can be loaded up in the slow cooker within 2 shakes of a lamb’s tail. 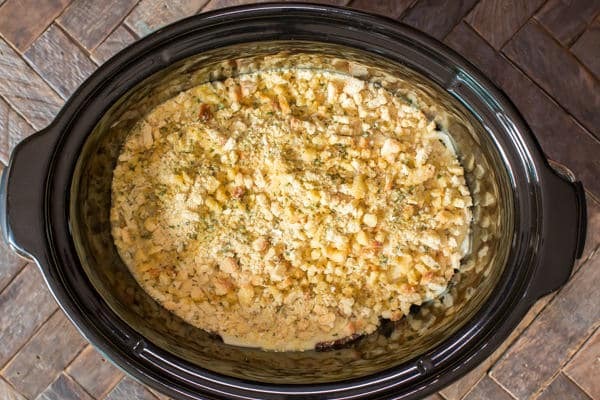 This is a layered dish, and only needs 5 hours on low in the crock pot. 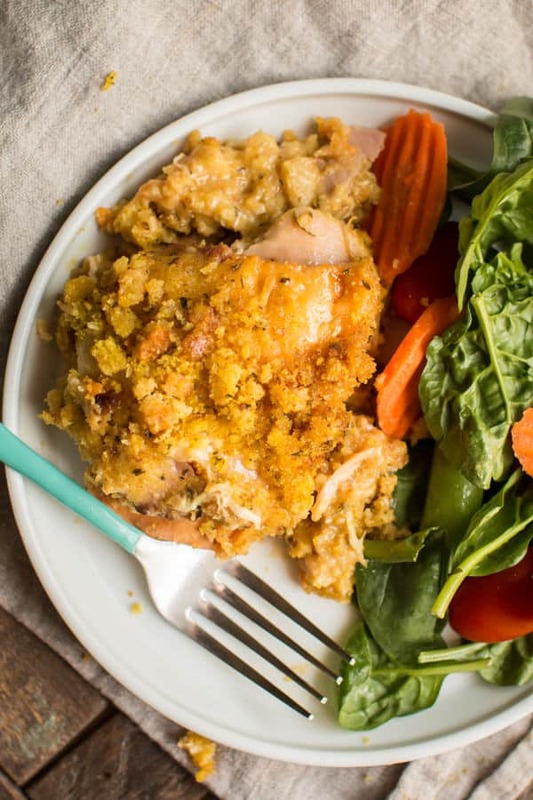 I use cornbread stuffing mix for this recipe, chicken would work fine instead. Start with boneless skinless chicken breasts. Cornbread stuffing mix and melted butter. This meal is great with a green salad! Below is the YouTube video of this recipe, you can see in the video better how creamy the sauce is under the chicken! You can follow me on YouTube, here. The sauce is cheesy and bubbly, the corners a browned a bit. 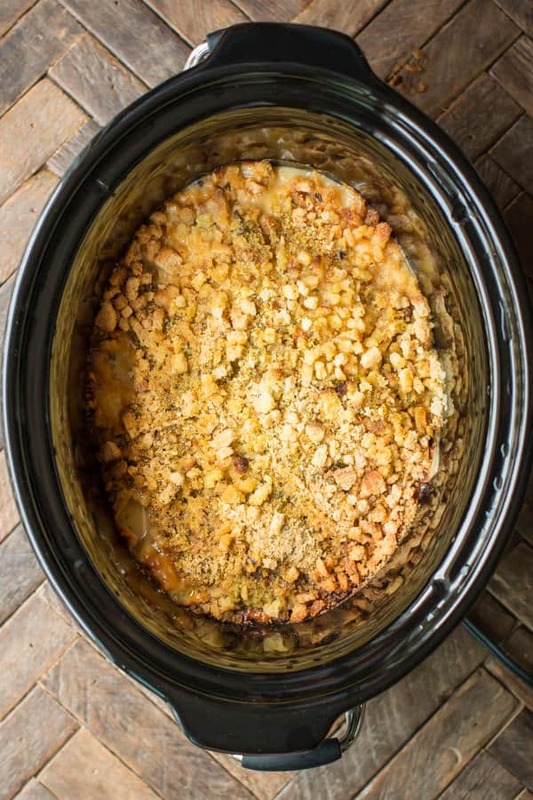 If you have never made a casserole in the slow cooker, make this your first to try! Have a great week! I hate cream of chicken! Can we use a roux and some milk, or would it ruin the dish? I also do not care for cream of chicken soup, so I substituted it with cream of celery and it was delicious. How about homemade condensed soup? Looks wonderful but I can not use the Stove Top Stuffing mix as it has MSG in it and that will put me in the hospital. When I do make it I will make my own stuffing mix. Also I will use the Campbell’s Healthy Request Cream of Chicken soup as it also have no MSG and the red label Campbell’s soup does. Other than that two changes – it sounds great. Thanks for a great recipe. Sounds like a great plan! I hope you enjoy it. If you belong to Costco, check Mrs. Cubbison’s stuffing,. I can’t use msg either and I use that stuffing, Also make soups out of their organic chicken broth and no problem. Costco is getting quite MSG conscious. What kind of cheese would be a good alternative since none of the kids will eat Swiss? How about white cheddar? Or maybe provolone? Never made this recipe but chicken cordon blue was a fave of my kids years ago. I’d make it with Monterey jack and my kids loved it. They, too, hated Swiss cheese. Monteray jack does sound good! Baby swiss is really really mild. 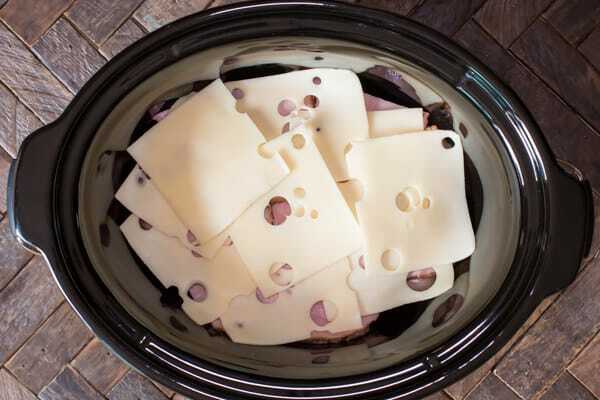 I substitute it in recipes all the time as I don’t like swiss cheese either. Thank you! I had fun making this one. Sounds delicioux. Can it be made in a three and half guard cooker. If you can get it to fit, I’m unsure if it will. 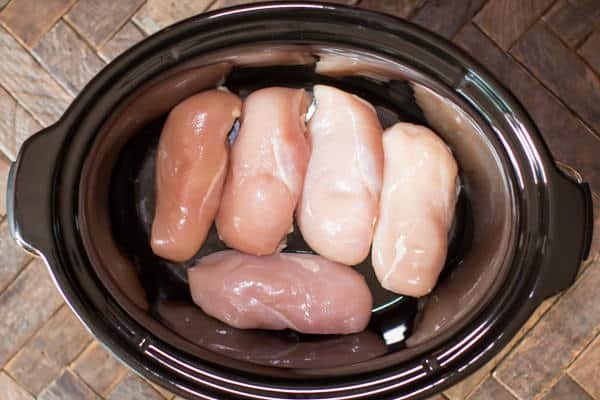 Can you use chicken thighs instead of breast? If so, how long would you cook it since the thighs are not as thick? I think 5 hours on low still. Just to get everything bubbling up. do you have to use the stuffing mix? No! You could skip it and the butter. Then serve over rice or mashed potatoes. Is the stuffing hard? It looks crunchy at the end of the video? I would stick with thawed and for at least 3.5 on high or 5 on low. how thick are the ham slices? Mine were about a 1/4. Any thickness will do fine. Looks really good. I live in Denmark and we dont have that creamy chicken soup on can – I wonder if I could substitute it with something else or make it with cream and broth? And what’s in the cornbread stuffing? Just crumbled cornbread? You can easily make homemade cream of chicken soup. Great that looks easy. I see that the US recipes often uses garlic powder or salt – in Denmark we usually use fresh garlic in stead. I guess it’s alright to use here too? Would you happen to know how long if I did it on high? I think 3.5-4 hours on high would work ok, may start to crisp up around the edges a bit. 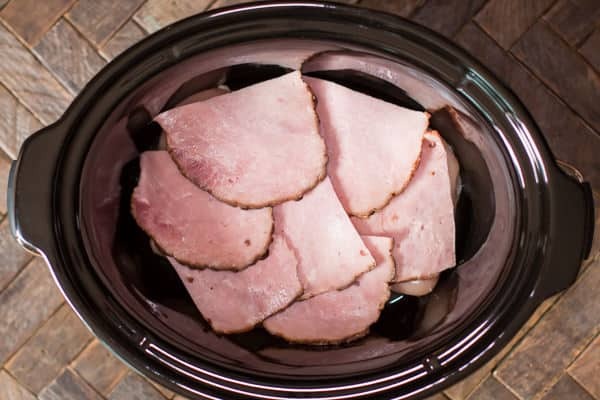 What kind or type of ham do you recommend? I used a presliced ham. It was a brown sugar ham and it wasn’t over powering. This ham is next to the giant hams that you would use for Christmas but is much smaller and sliced. If I intend to make this meal for three people, would the cook time change? I’m unsure how it would do with less time and less liquids. I would keep an eye on it. I followed the recipe exactly!! I love Chicken Cordon Bleu but this tastes absolutely nothing like it. We couldn’t eat it and I ended up throwing it out. That’s because it is missing the Dijon mustard that normally comes in cordon blue. 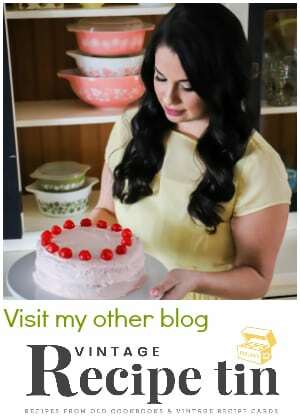 You need to remember everything when you make a new recipe out of an old one, and not forget main ingredients. Not all chicken cordon blue recipes have mustard in them. I personally rather not have it in mine. Too salty. Be careful what type of ham you use. Salty ham with salty soup with salty stove top makes a salty meal. My daughter smokes and she found it too salty. 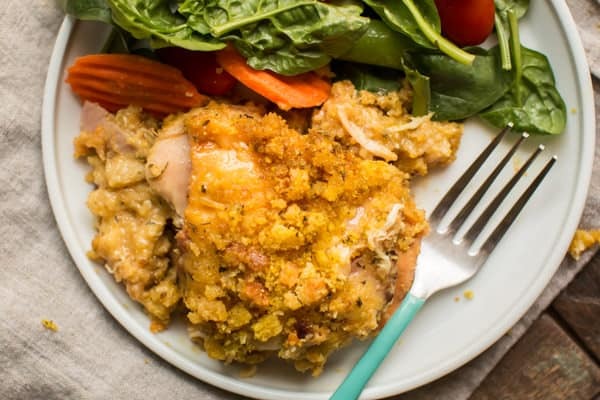 Made this recipe yesterday using chicken thighs, cream of mushroom soup, chicken flavored stuffing mix and gouda cheese … my husband and I deem this a big WINNER! Definitely will make again! They may soak right in, I’m not sure how it would turn out. Is the ham already cooked when you use it? Yes, it’s already cooked and sliced. Do you pre cook the stuffing or use as is ? 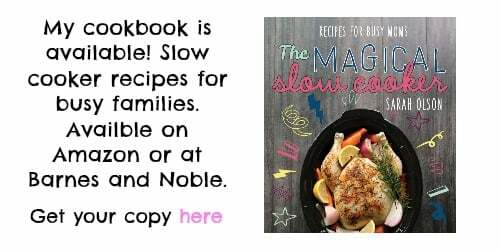 I use it dry, the butter and steam from the slow cooker will fluff it up. Didn’t see an answer to my question??? Hi Marilyn, I’ve never used pepperridge farm stuffing mix. Mine was just right with the stove top and the 1/3 cup of butter? It could have been the extra butter and the different brand of stuffing mix that made it not right, sorry that happened. This ends up being soupy. Just an FYI for everyone. We followed the instructions and didn’t deviate from them. Did you use off brand cream of chicken or low cal? So glad to see that I am not the only one who had a pot of too much liquid. Shouldn’t matter what kind of Cream of Chicken Soup is used. I used the brand that was sold in the store near me. You should not have to buy a certain brand soup for this to work. I found that the LOW setting for 5 hrs does not work. I’ve cooked this meal for 5 hours on low and 2 hours on high and still can’t pull out a piece of chicken that is not pink. The chicken is pink from the ham, unless you used frozen? 5 hours on low is plenty of time to cook this recipe, OR 3.5 on high. If your crockpot is cooking properly and you kept the lid on the entire time, this should work fine. Hi Chris! I’m unsure how it would be with just cornbread, the stuffing mix has a lot of seasonings in it. Maybe cornbread mixed with croutons? Can you use frozen chicken breast? If so how much longer would it cook? Hi Nikki! I worry about frozen chicken breasts in a recipe like this, if you were to cook longer the edges may burn since this is a casserole recipe. Soups and roasts and more liquidy recipes are better for frozen meat. I want to make this on a larger scale. How can i convert this to my oven? I would use a larger baking pan and double the recipe. But what should i have the oven on , and how long should i cook it covered for? I have sliced deli ham here- can I substitute it? Making this for tonight. Excited to see how it comes out. Thank you so much for your help and hard work!! Is it normal for the chicken that’s touching the ham to look pink after cooking Low on 5 hours? Does yours? Thanks! It does do that sometimes, I think the ham changes the color of the chicken. As long as the chicken wasn’t frozen before cooking I’d say it’s cooked and fine. Certain hams leave the chicken pink on top Black Forest ham is one of them and it does have less sodium where I shop! I have used regular sliced baked ham that doesn’t do that! 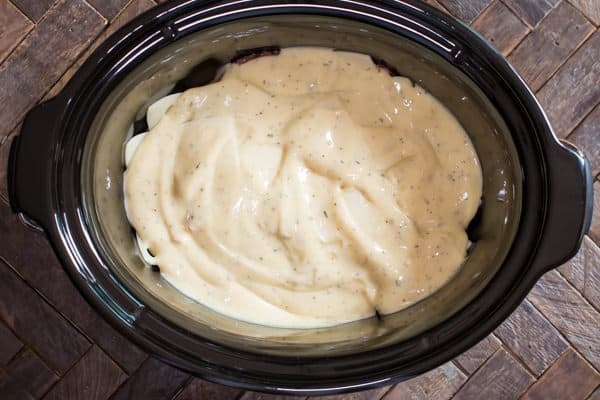 I have this in the crockpot right now! I used chicken tenders instead of breasts, and due to my youngest having celiac disease, I had to make a gluten free version. Used GF cream of chicken & Italian seasoning (out of oregano). Instead of stovetop, I used a GF seasoned breadcrumb mixture. I can’t wait until dinner! Can you double recipe for a larger batch? Looking to make for a larger family (have followed recipe for our own family of 4 With no problem) would it have to cook longer? Would it burn bc of a longer cook time? I think if you keep the lid on and use thawed chicken you shouldn’t have to cook too much longer. What is the calorie count per serving. Can I substitute ham for turkey bacon slices ? I think if it was cooked it would be good! You should pick a setting and stick with it. In one of the comments, you advised 3.5 hrs on high or 5 hrs on low. I think the directions should say the crockpot needs to be on high instead of low. After 5 hours on the low setting per the recipe, I am finding something else to fix for dinner. I had a feeling the pot should have been placed on the high setting but I followed the recipe to the letter. With a layered pot, how can that much chicken be cooked on a low setting. The chicken is still pink. I have turned it on HIGH where it should have been and now waiting additional hours before I can go to bed for this meal to finish. I did mine on low for 5 1/2 hrs, added a bit of extra milk and butter. Everything was great, but felt the chicken needed more flavoring or something!?! The rest of it was s great flavor! Made this for supper..it was delish ..another awesome recipe Sarah thank you. I’m so happy you enjoyed it Lisa! Definitely making this again! It was a hit with the whole family! I don’t really care for Swiss cheese, but it blended really well with this dish. After I put it in, I thought I might try a different cheese next time, but I won’t because it was great. 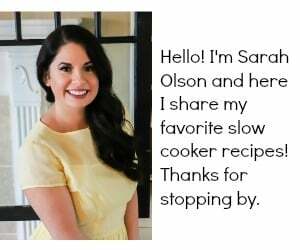 I have a normal cooking crock pot, and 5 hours on low was perfect! The chicken fell apart with a fork and was so tender and good. The ham does make the top pink but it was fully cooked. The dish was soupy after 5 hours, so I switched it to high without the lid for 10 minutes and that thickened it up plenty. Thanks for sharing! 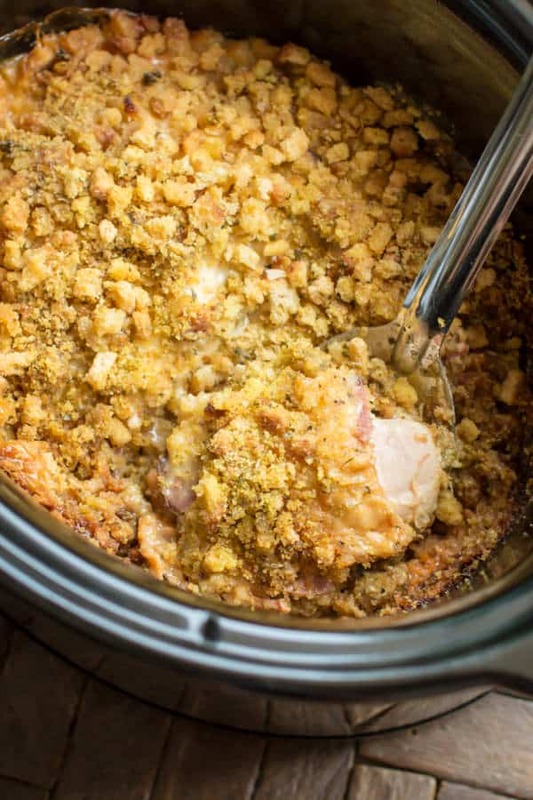 I’ve always loved chicken cordon blue so I’m thrilled to have found an easy Crock-Pot version. I’m happy you like it! I really like the Swiss in this recipe too! 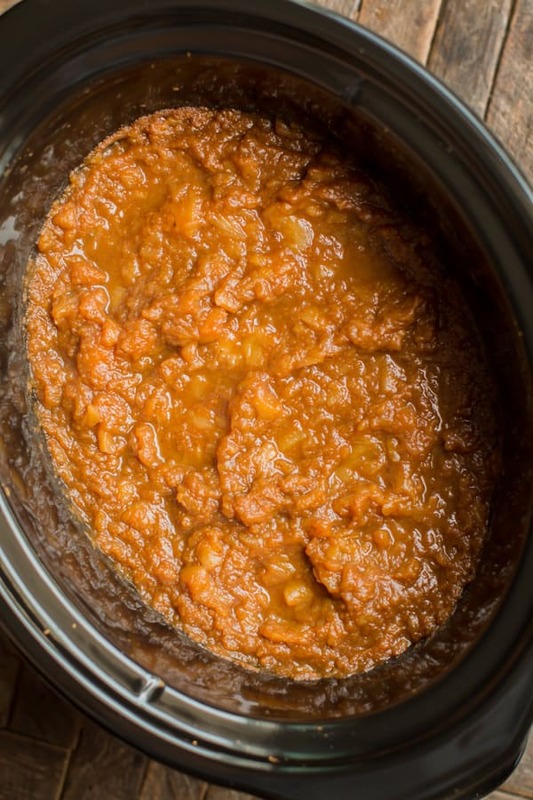 Is there a pressure cooker option for this recipe? 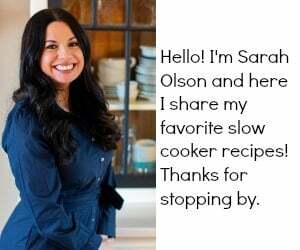 Hi Amber, I have not tried in the pressure cooker, I am a slow cooker junkie. If anyone else has tried this in a pressure cooker could you give times? Hello. Made this for first time today. Have followed this recipe several times already and it is delicious!!! I love everything about it. Will be making it tomorrow again. Thanks for sharing! Hi, Sarah. I am new to your recipes. Made this, very easy to make and that was good. It was okay. Not so much to our tastes, nothing wrong with it, though. Just not for us. What I really liked about it was how easy it was to put together. I followed exactly and it tasted mega salty. 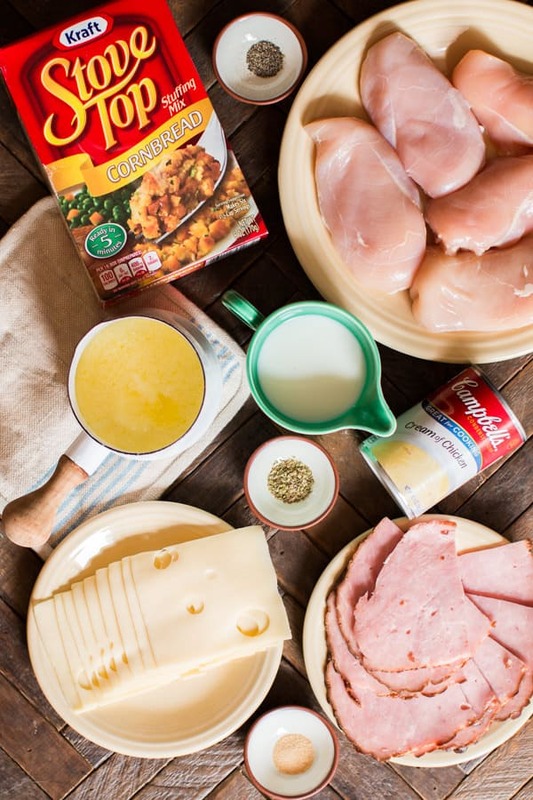 Do you think you could cook the Chicken Cordon Bleu for a croud and in the oven? If so, what would you do? I’m excited to make this today. However, I just realized that I have Stove Top Stuffing rather than Cornbread. Do you think the stuffing will work as well! It’s the same thing, yes it will work fine. I’ve made this a dozen times for my family and we love it. It is yummy and comforting. I’ve always cut the chicken and ham into bite sized pieces just to save time later and it has always been cooked through and full of flavor. Thanks!! thank you for letting me know how you like it! I love the idea of cutting up the ham and chicken, thanks for the tip. I did the same. I cut up the ham and chicken and it was great. Is there a way to do it without adding the milk? I made this recipe yesterday only using 2 chicken breasts and I used cream of celery instead and it came out amazing <3 thank you for this recipe.